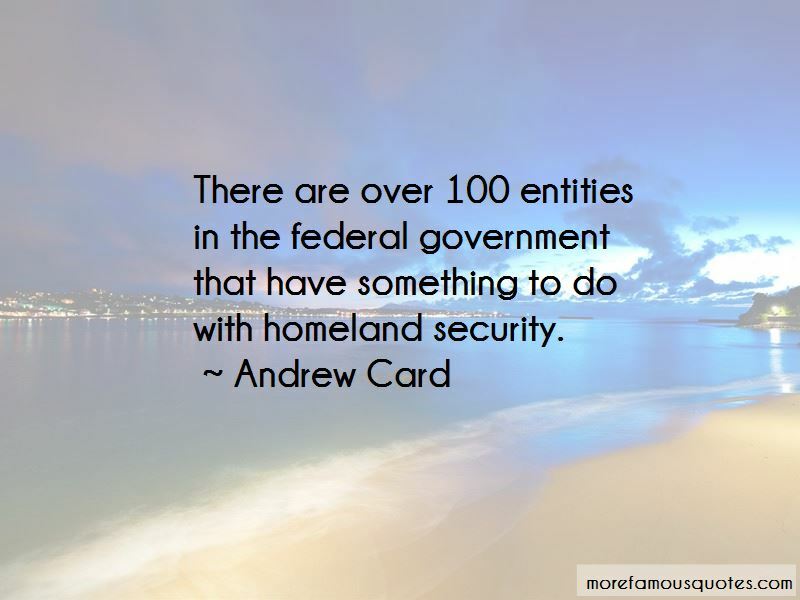 Enjoy the top 17 famous quotes, sayings and quotations by Andrew Card. She's leaving when the president has one of the highest approval ratings on record. From here, it can only go down. And when it does, you know who they're going to blame. They're gonna blame Andy Card! 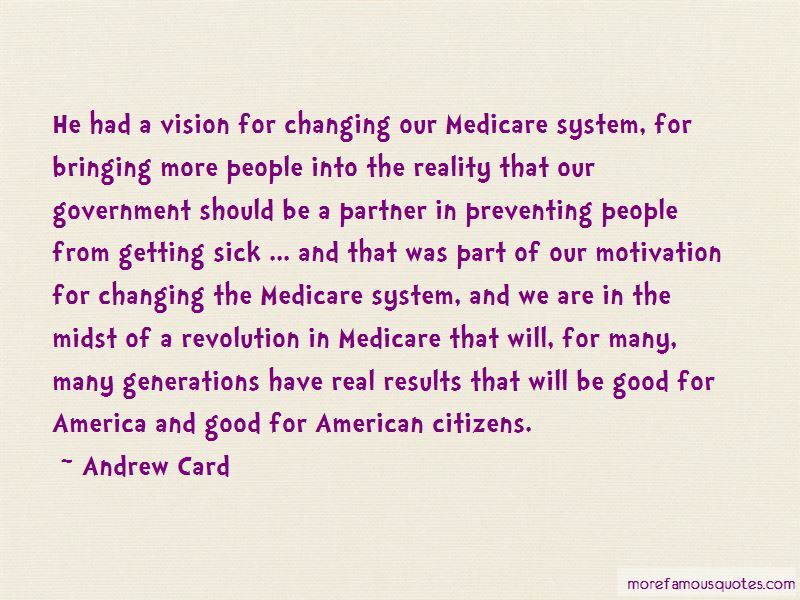 He had a vision for changing our Medicare system, for bringing more people into the reality that our government should be a partner in preventing people from getting sick ... and that was part of our motivation for changing the Medicare system, and we are in the midst of a revolution in Medicare that will, for many, many generations have real results that will be good for America and good for American citizens. 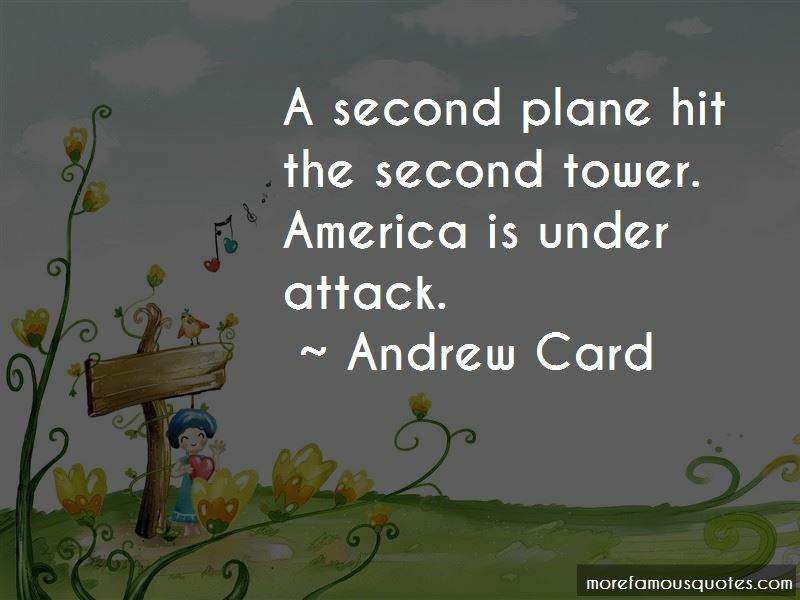 Want to see more pictures of Andrew Card quotes? 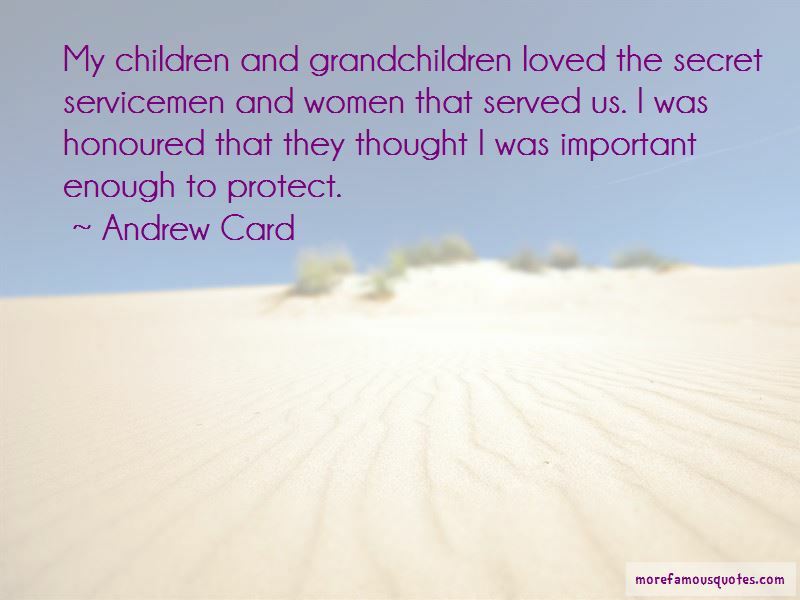 Click on image of Andrew Card quotes to view full size.